성 100th Episode Party. 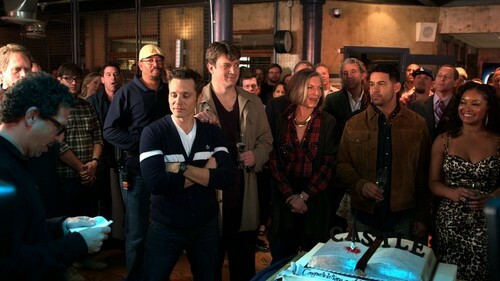 Nathan celebrates 100 episodes of 성 with the rest of the cast and crew!. Wallpaper and background images in the Nathan Fillion club tagged: castle photo cast 100th episode 100th episode party abc nathan fillion nathan fillion.